The image above is from Greg Hogan of Kathleen, Georgia. Click here to view it larger. Tonight – or any moon-free night in May 2019 – let the sparkling blue-white star Spica act as your guide to the Omega Centauri globular star cluster. You can see this cluster with the unaided eye, if your sky is dark enough. 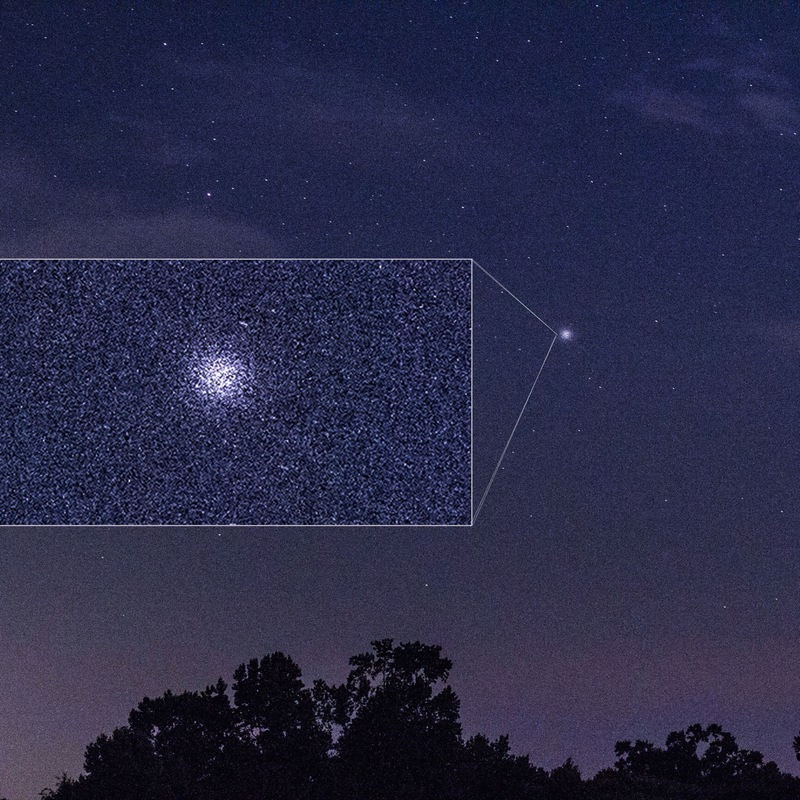 Omega Centauri looks like a fairly faint (and possibly fuzzy) star. It’s a beautiful and very special star cluster. In any year, Spica can help you find it. 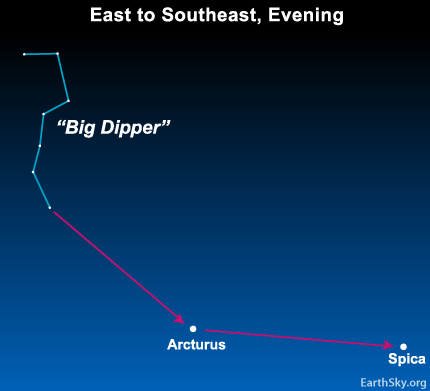 In any year, you can use the handle of the Big Dipper to locate the stars Arcturus and Spica. Spica transits – climbs to its highest point in the sky – around 11 p.m local standard time (midnight Daylight Saving Time) in early May for all locations around the globe. Because the stars return to the same place in the sky about 4 minutes earlier each night, look for Spica to transit around 10 p.m. (11 p.m. daylight saving time) in middle May and 9 p.m. (10 p.m. daylight saving time) in late May. As seen from the Northern Hemisphere, Spica and Omega Centauri transit due south at the same time. That means that – when Spica is highest in the south – Omega Centauri is, too. 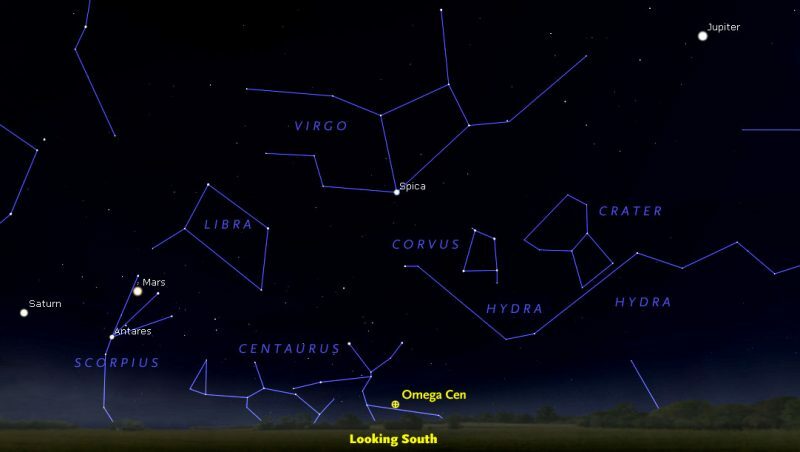 Look for Omega Centauri about 35 degrees directly below Spica. A fist at arm’s length approximates 10 degrees. Omega Centauri is special in part because you can see it with your eye alone, assuming you have a dark-enough sky. Very few of the Milky Way galaxy’s 250 or so globular star clusters are readily visible without optics. 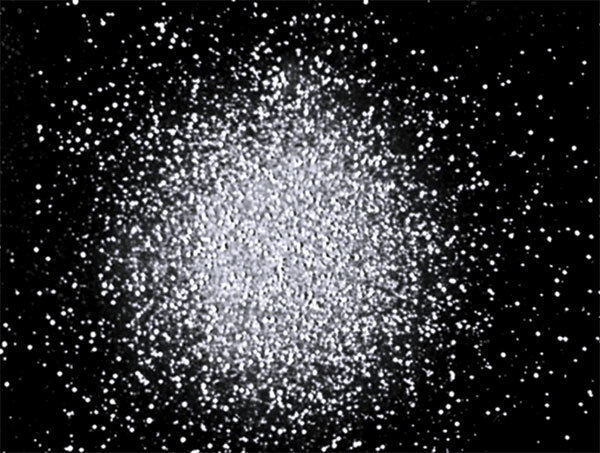 Globular clusters are large, symmetrically shaped groupings of stars, fairly evenly distributed around the core of our Milky Way galaxy. Omega Centauri is the largest and finest globular star cluster visible to the eye alone. 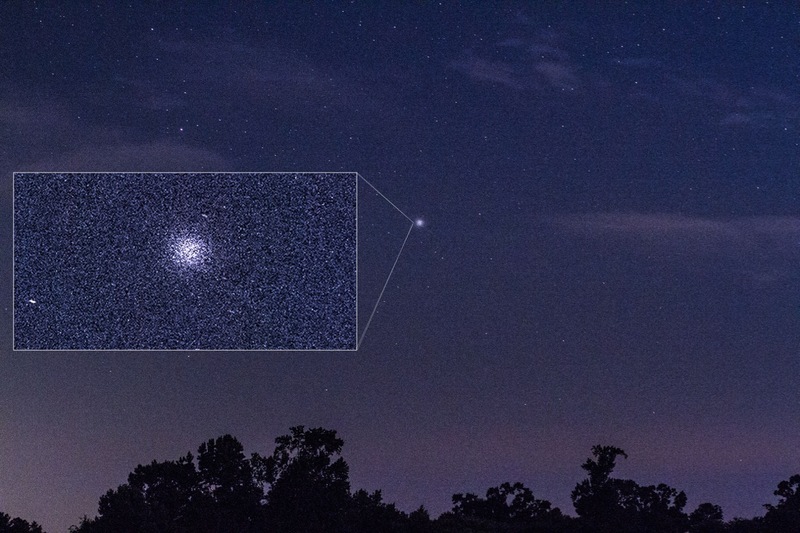 People living south of 35 degrees north latitude have a realistic chance of spotting Omega Centauri, though it’s been seen as far north as Point Pelee, Canada (42 degrees north latitude). Best appreciated with a telescope, Omega Centauri, the largest and brightest of all globular star clusters, is a globe-shaped stellar city, teeming with millions of stars! Omega Centauri star cluster, the finest globular star cluster visible in Earth’s skies. Image via via Meade.com. Bottom line: Use the star Spica in the constellation Virgo to locate Omega Centauri on these springtime nights!